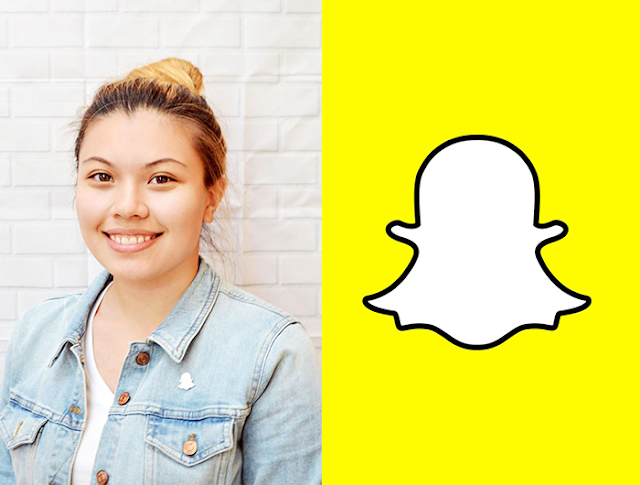 Home / Interview / Snap / Snapchat / A Day in Life as a Software Engineering Intern at Snapchat! Yasmeen Roumie is an exemplary role model to all, a go-getter, and a rising star. She attended one of most prestigious magnet high schools in the nation, Stuyvesant High School, where she interned at Harvard Medical School during both summers as a rising high school sophomore and junior; interned at NASA (National Aeronautics and Space Administration) as an engineer during both summers as a rising high school senior and college freshmen. During High School, she excelled and participated in many extra-curricular activities such as contributing for the school newspaper; being the director of Finance for StuyHacks - the school sponsored hackathon for high school students worldwide; being part of the Jazz Band as a drummer; being part of the core Robotics team; and being part of the fencing team where she competed nationwide. Yasmeen is currently a sophomore at Hunter College as a computer science major, but she doesn’t primarily define herself as just a college student. Yasmeen is a software developer with a concentrated focus on augmented and virtual reality with a plethora of professional experience within this industry since High School. During the summer of 2017, she interned at Snap Inc. and will be interning at Tinder as a software developer this summer. Yasmeen is also an hackathon hacker where she has attended numerous hackathons over the past couple of years traveling all over the nation as a participant, speaker, and volunteer. Disclaimer: Yasmeen is not representing nor is this article sponsored by Snap Inc. or any of its affiliates. She is being interviewed and answering as an independent, post-internship. Thank you so much for interviewing with Chapter1! Let’s begin. There’s so many things I’d like to cover with you due to your wide variety of professional interests and experiences - but for now, I’ll primarily focus with your background as a software developer and a Snap Inc. intern. What initially drew you into programming and want to pursue this as your professional career? What do you like about it? I started participating in robotics early in elementary school. Robotics was what first exposed me to practical uses of technology and engineering, more than what I was able to learn in school. Then in high school I was finally able to take programming classes and join the school’s FIRST and Zero Robotics teams. I attended my first hackathon in junior year and really enjoyed being able to create and finish a whole project within a weekend. In the past three years, I’ve been to over 40 hackathons. At hackathons, I enjoy being able to build whatever I want, experiment with new technologies, and collaborate with new people. As for programming in general, it is easy to make an impact in a short amount of time without much of a barrier to entry–I didn’t need expensive hardware and tools like in robotics, and I could teach myself almost everything I needed to finish my projects. What was your day-to-day like? What was your favorite part about working there? I went to work around 9 am and ate breakfast in the cafeteria, across the street from my office building. My team had stand up nearly every morning, at which we went around and talked about what project or task we were currently working on. Then at noon I’d go eat lunch with other interns or my team, or go to a lunch and learn to watch a speaker present. After work, I ate dinner in the cafeteria and sometimes went to Council where we often participated in arts and crafts events that benefited local charities. I bought a skateboard, which I usually rode home on along the Venice boardwalk. How would you describe Snap’s work culture? From an intern’s perspective, the culture seemed very laid back. Most engineers worked from 10 am to 6 pm, but I worked from 8 or 9 am to 7 or 8 pm. I never felt much pressure to finish things super quickly because I worked on more experimental projects, rather than features that had to be pushed to the app immediately. What were some challenges you encountered as a software engineer at Snap? How did you overcome them? I had to learn a variety of new technologies to use to make lenses, and often ran into obstacles during the process. If I didn’t know something, I first went through the documentation and repository of old lenses to try to figure out what step to take next. And if that didn’t work, I talked to or messaged someone on my team for help. One of the most valuable skills I learned while working there was figuring out which questions were the right ones to ask, and when to ask them. With the advent rise in popularity of the Snapchat mobile app in the past decade, we’ve seen Snap create its own niche in the technology industry by creating a hybrid of social media, instant messaging, and first signs of mainstream augmented reality (face filters). However, in the recent years, facebook has developer their own version of Snapchat within their social media platforms, in fact, most of them in Instagram, Facebook, Messenger, Status (WhatsApp), how does Snapchat keep its competitive edge by maintain their users from migrating to facebook’s snapchat clone platforms? Do you think original content plays a large role within the competition? I think different platforms are associated with different uses. Even though Facebook and Instagram have AR, people still use it mainly on Snapchat because you probably don’t want everyone following you to see a dog face selfie permanently on your page, especially if you’re applying to college or looking for a job. The same thing goes for Snap Map–you only want your close friends to see where you are, rather than broadcasting your exact location to the whole world. In what direction do you see Snap moving towards in the near future? Do you think the focus on cameras will play a much more significant role for their publicity and revenue stream? Snap is a “camera company” so new camera features will definitely be a major focus in research and development. However, they are constantly coming up with new products that aren’t related to the interactive camera aspect like Snap Map and Snap Store. They don’t restrict your creativity, so really anything you can think of is possible. We had some internal hackathons where whole teams would spend a day or two building whatever product they wanted related to Snap. I ended up getting second place at the intern hackathon for a product that encouraged users to engage with local businesses through location-based deals discovered in Snap Map. Any advice or suggestions for our non-technical readers who want to get involved with software engineering? Attend hackathons, tech meetups, and other events where you can learn more, find inspiration, and meet other people who can mentor you. You can learn as you go, so don’t be afraid to just start a project.